This handy storage net sticks to the bath or tiles for easy storage of all your little one’s bath toys. The net enables toys to dry naturally so that they last longer for more and more fun in the tub! 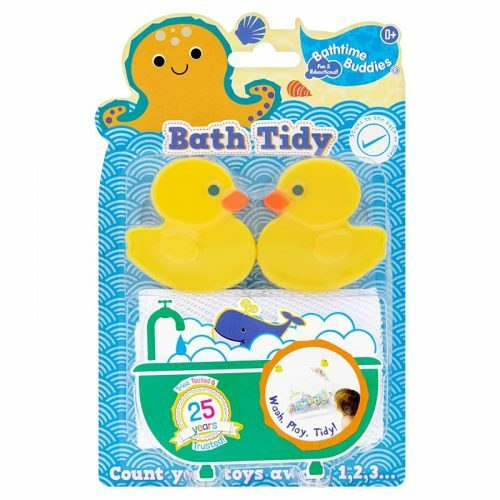 Count all the bath toys into the bath tidy with your little one, you could maybe even sing a counting song!